This blog post is featuring the items which will available from The Forge ( IW/MP ) for the upcoming round of TAG! Gacha – The Haunted Mortuary, which will be starting on October 17th at 12:00 a.m. SLT and running through October 31st 11:59 p.m. SLT. 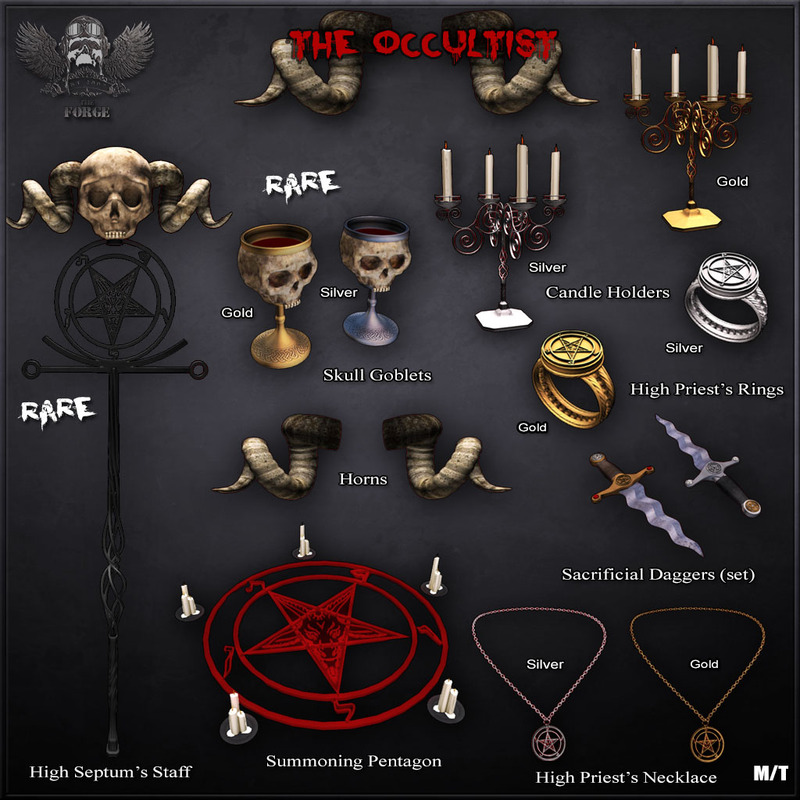 This set is titled ‘The Occultist‘. Click here to go pick up your TAG hud.